Plan. Drive. Analyze - What Is The ALK Platform? Although every journey is unique, businesses still require predictability in terms of time and cost. Therefore companies need access to a planning, driving and analysis platform that provides flexibility and customisation for your business. What Is The ALK Platform? 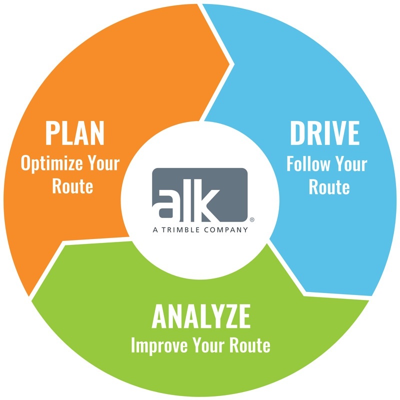 ALK’s platform is a location powered toolset for every part of the journey. We offer a flexible routing, mapping, mileage and navigation platform. It is rooted in rich commercial vehicle data and powered by our location engine at the core.